The dry, desolate Atacama Desert conceals a forgotten, decayed town, long abandoned and rumored to be one of the most haunted places in Chile. Humberstone was once a thriving community, home to more than 3,000 people. It was founded in 1872 to mine Saltpeter, which was used to create fertilizer and was in high demand from a booming European market. Abandoned building in the middle of the desert in Chile. Part of haunted Humberstone. Saltpeter, or potassium nitrate, was once nicknamed ‘white gold’ and boomed to become the main export of Chile. Though it was a massive industry, it’s power was short lived. After a synthetic option was created in the 1930s mining of the resource took a hit and gradually began to decline. Humberstone and many other surrounding town’s suffered for years, until becoming completely abandoned in the 1960s and earning ghost town status. 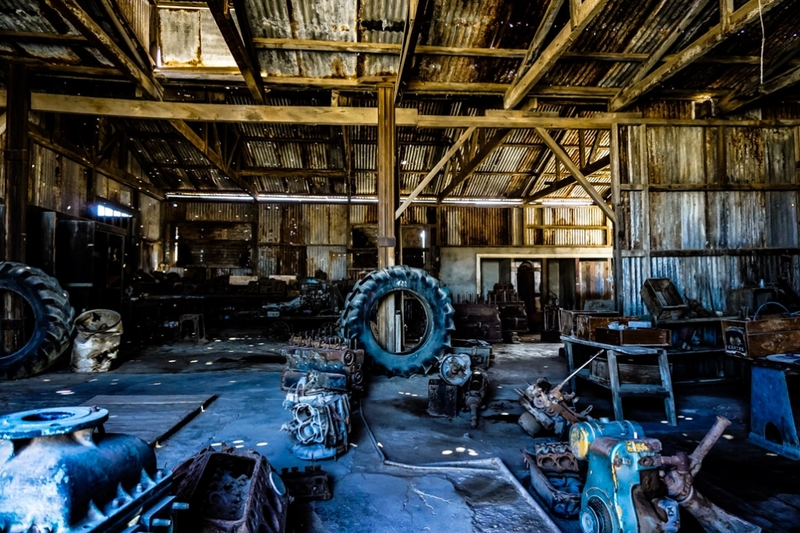 Inside a former mining factory of Humberstone, Chile. Humberstone still exists today, eerily intact yet weathered from the harsh desert climate it exists within. Over the years this empty shell of a former, thriving mining community has gathered a haunted reputation so fierce that locals from the nearby town of Iquique refuse to visit. 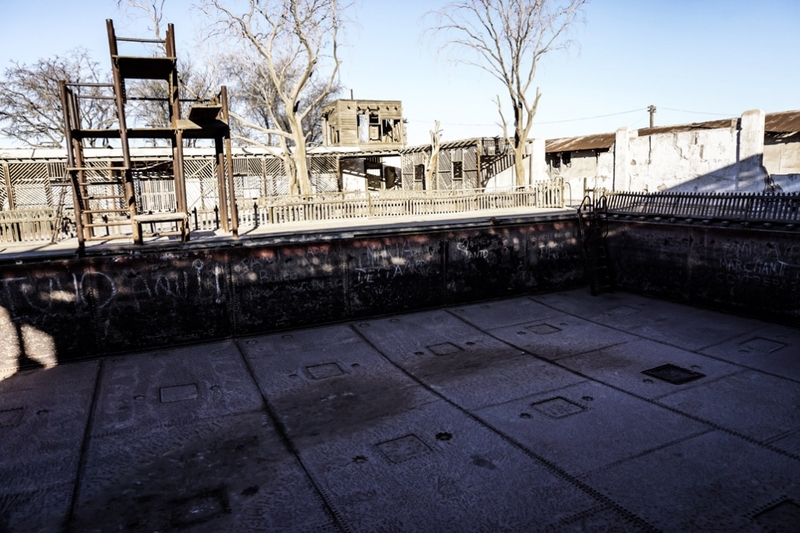 Empty pool in Chile ghost town, Humberstone. 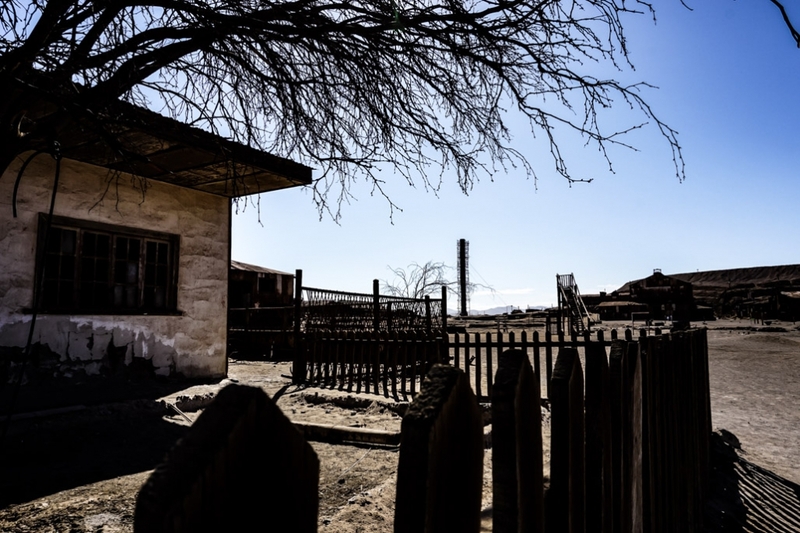 Humberstone gives off a peculiar energy, it is abandoned and empty, yet could still have lost souls calling it home. Ghost sightings are so frequent and haunted rumors so common that the Humberstone ghost town is considered one of Chile’s most haunted places. One of the many abandoned buildings of the ghost town, Humberstone. 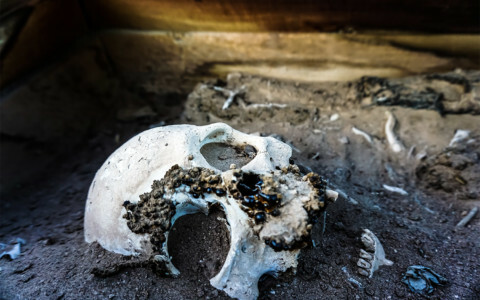 Countless visitors have claimed to witness black shadow masses and full body apparitions throughout Humberstone. Some even claim to have captured these supposed ghosts on camera. 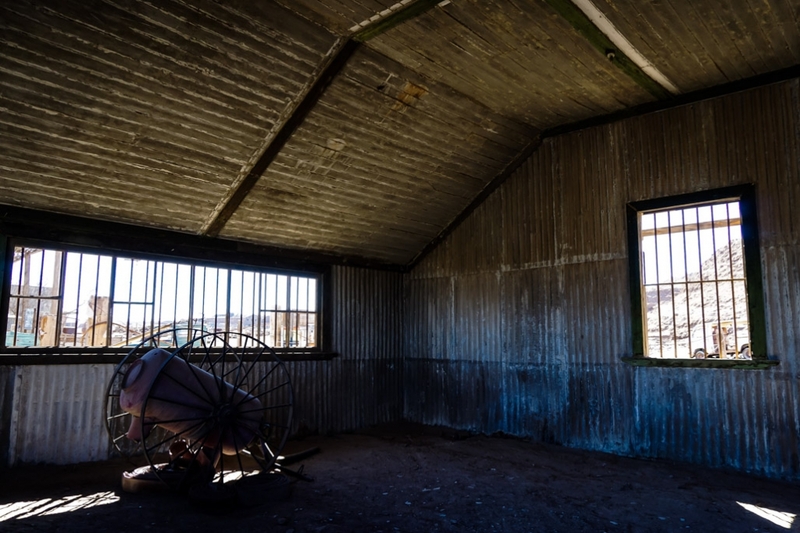 Inside one of the deserted sheds of Humberstone, Chile. One of the most active areas within Humberstone for paranormal occurrences is the old school house. Still fitted with old time seating, desks and blackboards this school is one of the more unsettling areas to explore. Many have claimed to encounter the apparitions of children roaming the hallways, peering around corners before disappearing into thin air. The disembodied sounds of children playing and laughter are also commonly reported within the school. 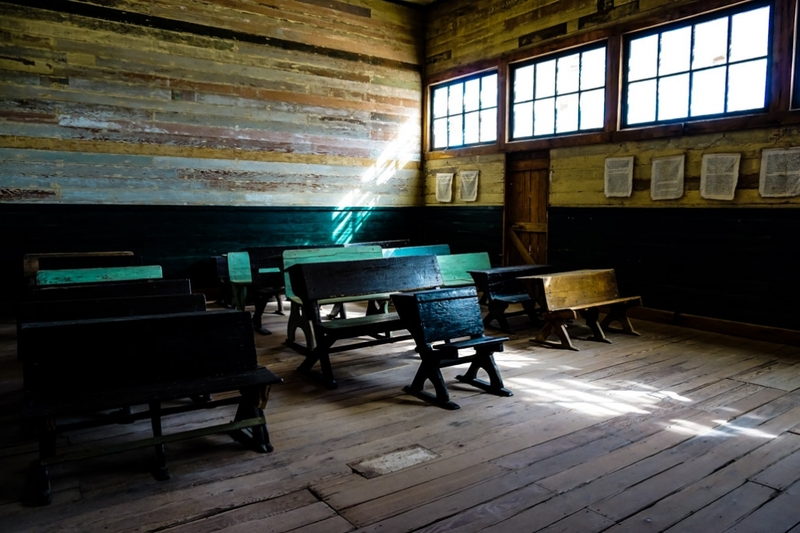 Inside the haunted school house, lined with desks and benches. 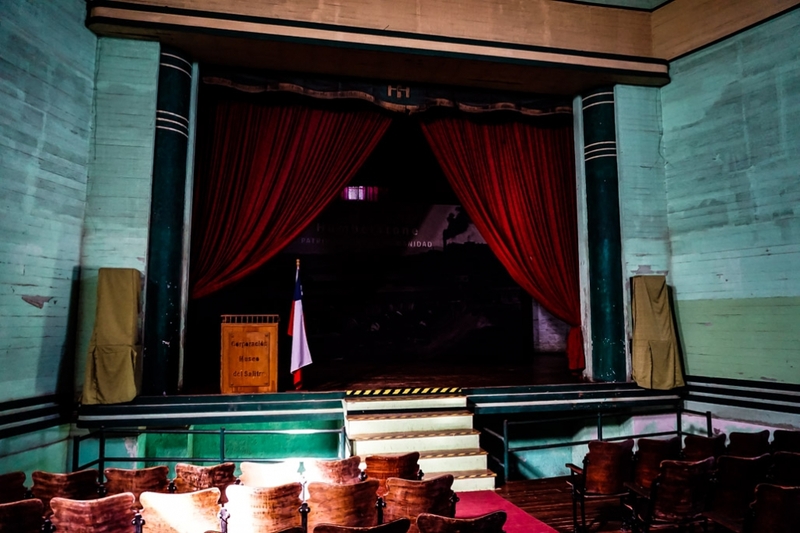 Another paranormal hot spot within the town of Humberstone is its old theater. This grand, former picture house is the place many have sighted a shadow figure moving about at a fast pace. Looking up at the stage of Humberstone’s haunted theater. Additional reports of hauntings within Humberstone exists. Many claim that spirits’ chatter can be heard and unexplained knocks, bangs and doors slamming shut on their own accord is common. Check out the paranormal activity I encountered at this haunted Ghost Town in this video, which includes spirit box sessions. Dry and desolate, ghost town of Chile. 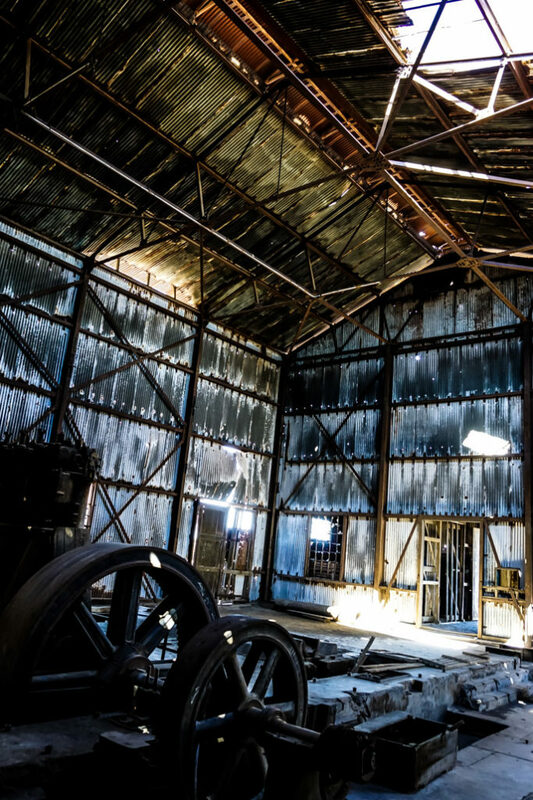 Humberstone is now open to the public as a museum, preserving a bygone era of mining power. 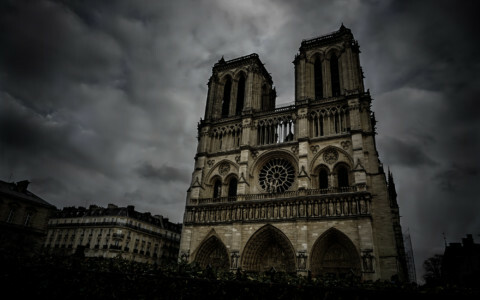 Many of the structures are greatly preserved, while some are decaying and dangerous. 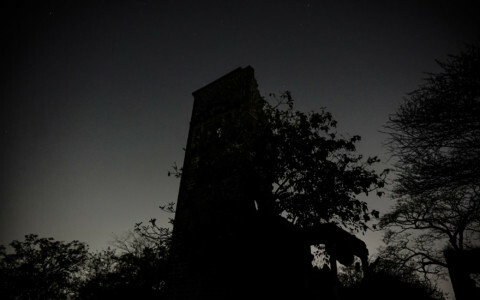 There is something eerie about the location and those who love to explore creepy or haunted places will enjoy a visit. 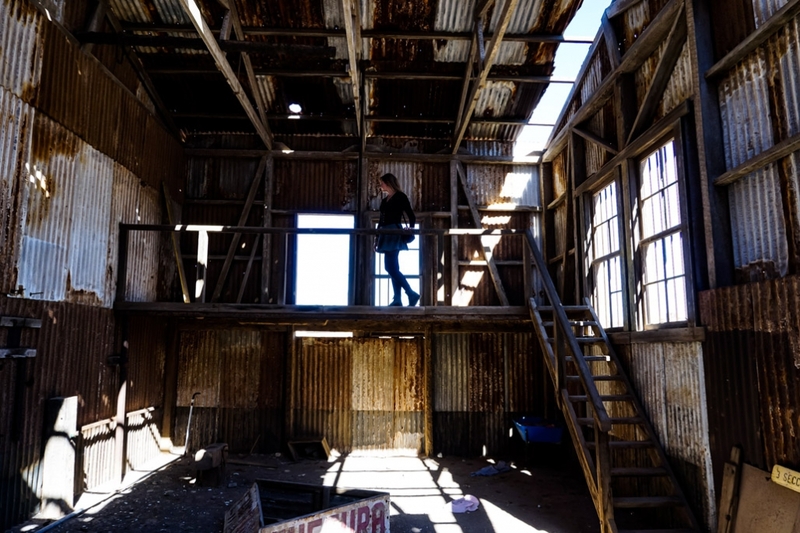 Exploring the ruins left behind from Humberstone. Entry is just a few dollars and one can easily spend a day exploring the town. 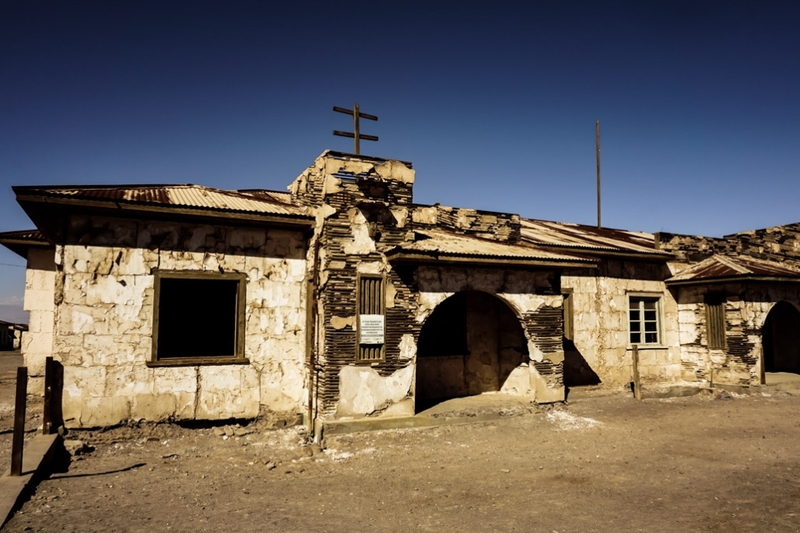 The ghost town is quite easy to locate, just off a major freeway about 45 minutes outside of Iquique. Collectivos depart frequently from the town center and run late for return trips. If you enjoyed this read and are looking for other haunted places to check out in South America, I recommend this creepy hotel in Lima Peru.